Looking for summat to do this weekend? Family friendly? Take the kids or old folks out for the day? And still get a fix of fumes and adrenaline! Following the success of their inaugural event last year the organisers have promised something bigger and better this year with the second 'Blast from the Past' show at the Thainstone Centre in Inverurie from 10am to 4pm this Saturday 21st July. It is not just a static show with cars, CVs, motorcycles and trade stands, there is a competitive element too with an Autotest on site - the ideal (non-contact, non-damaging) introduction to all forms of motor sport. 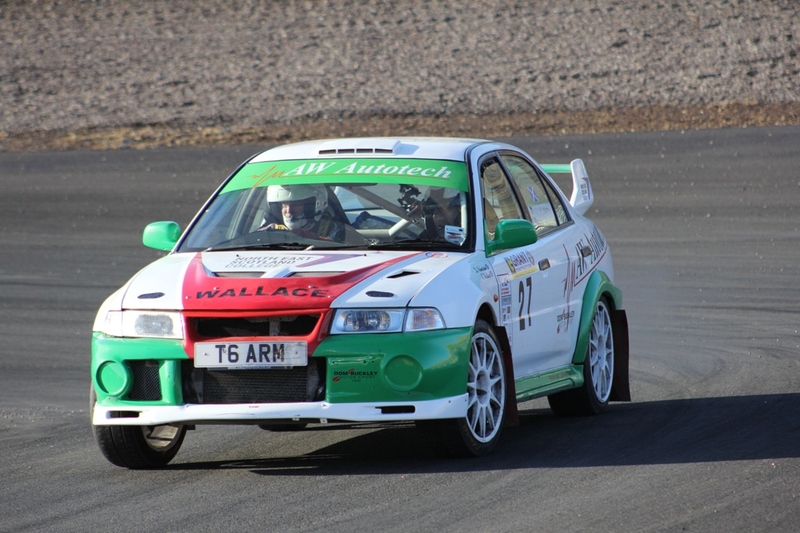 The instigator of last year's show and main sponsor again for this year's event is Alan Wallace of Aberdeen based AW Autotech garage services, better known to Scottish rally fans as a front runner on the Scottish Tarmack Rally Championship with his Mitsubishi Lancer Evo6. Unbeknownst to all of youse out there Alan is also a bit of a classic car (and van!) buff himself and will no doubt have one or two automotive nuggets of his own on display. However, as long as he keeps moving, and doesn't stand gabbing in one place too long, he won't be mistaken for the one of the elderly, static exhibits himself!